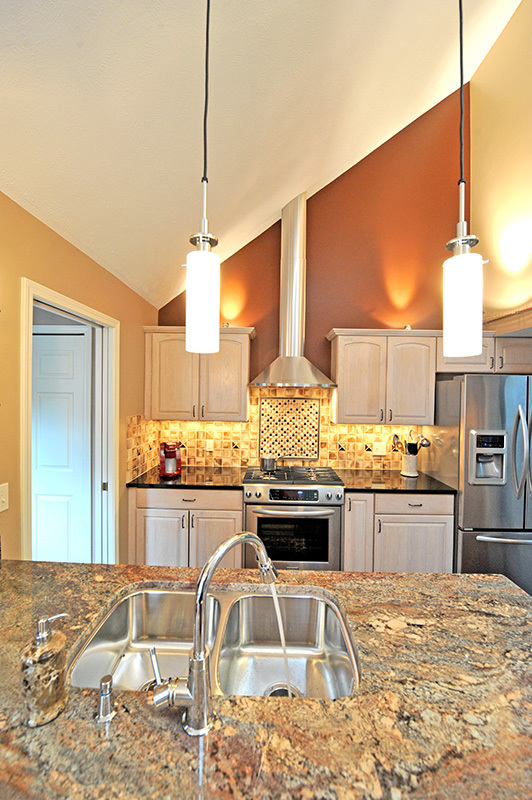 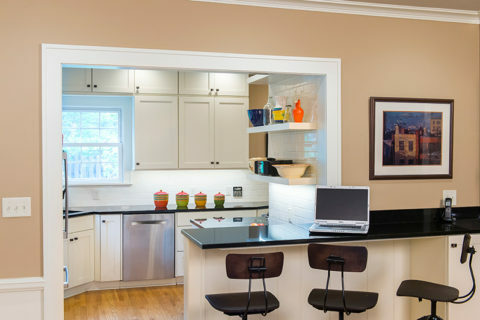 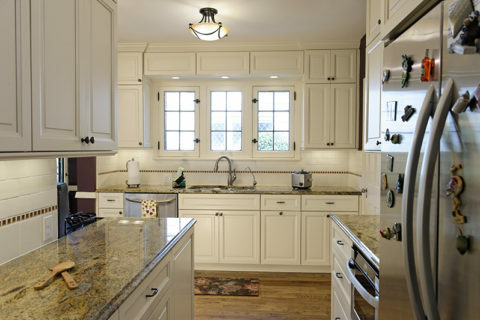 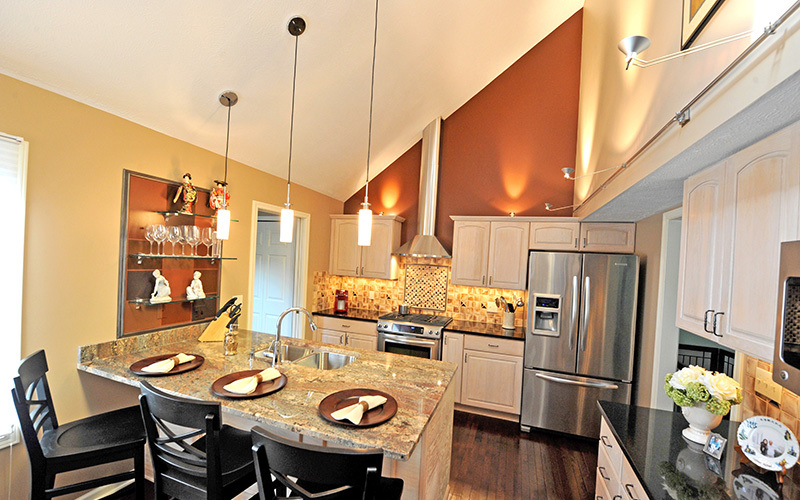 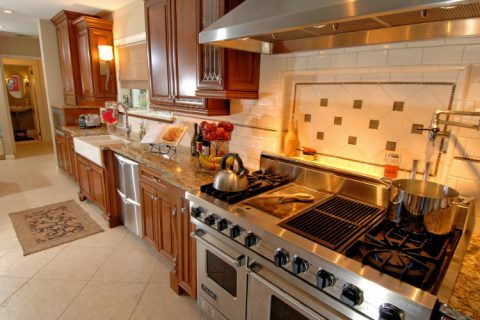 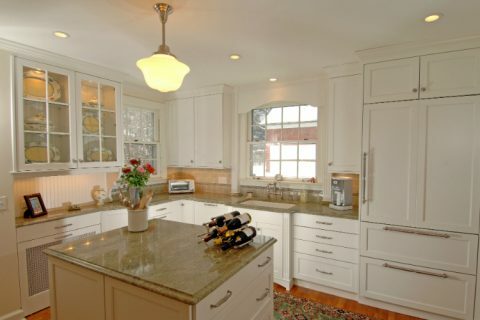 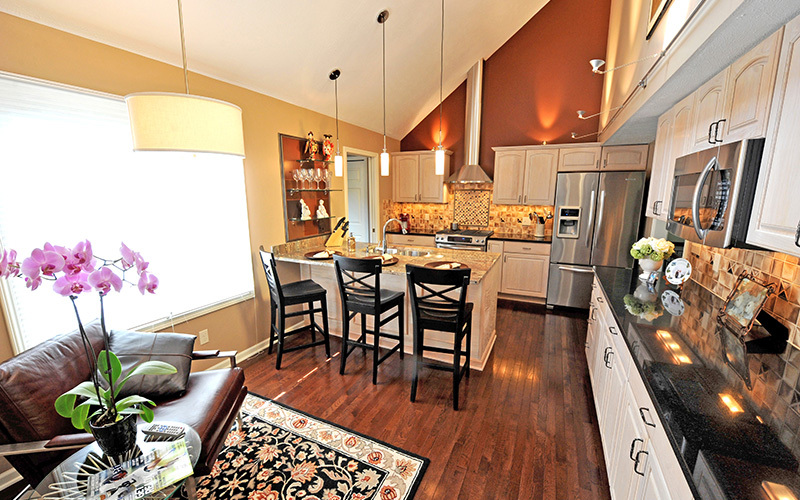 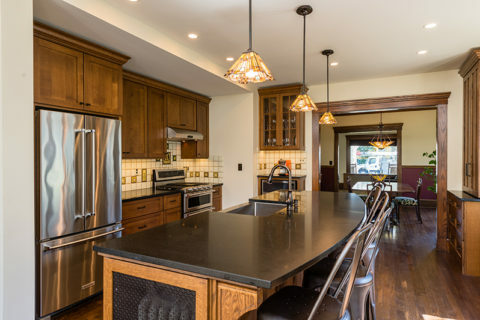 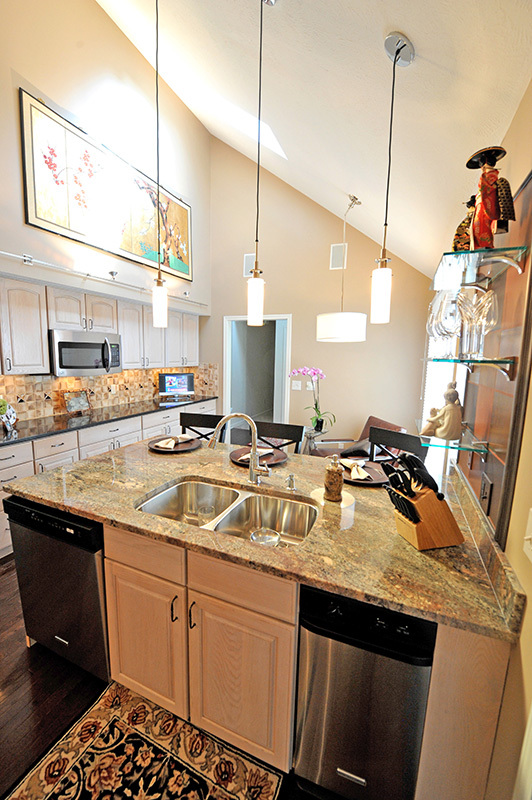 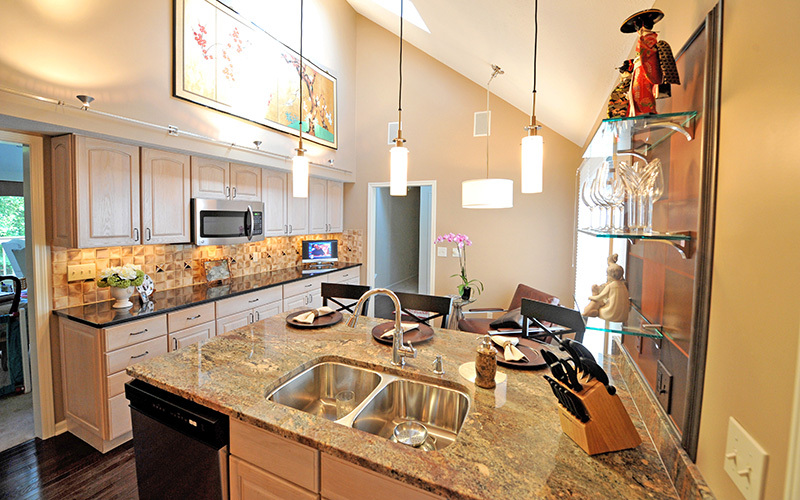 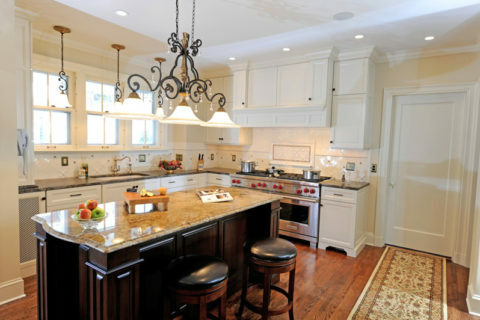 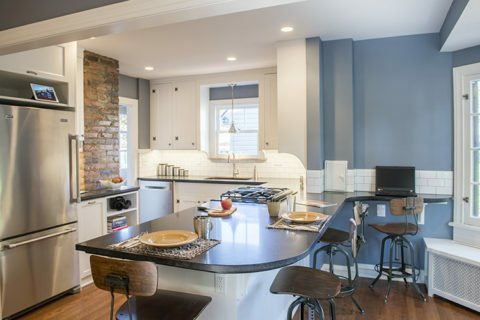 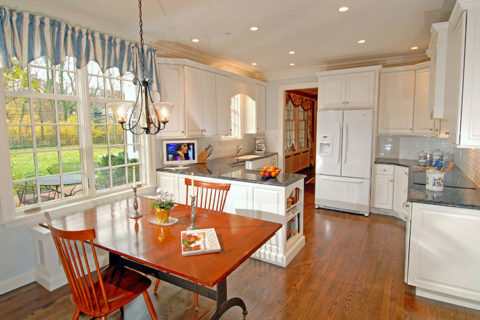 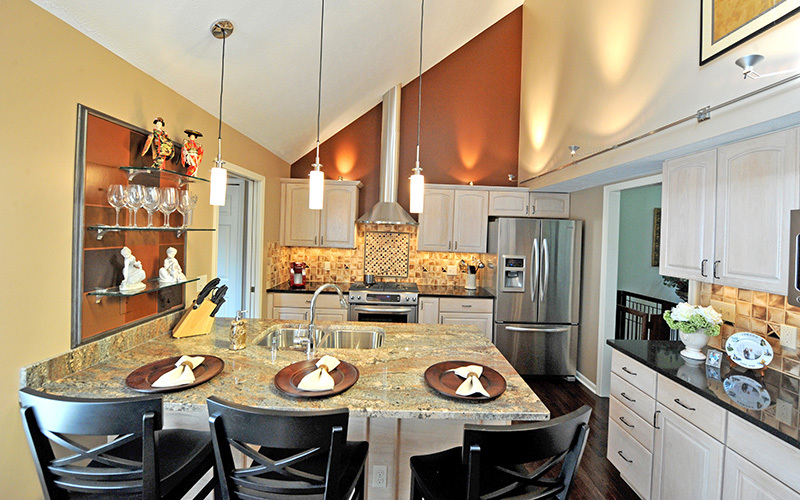 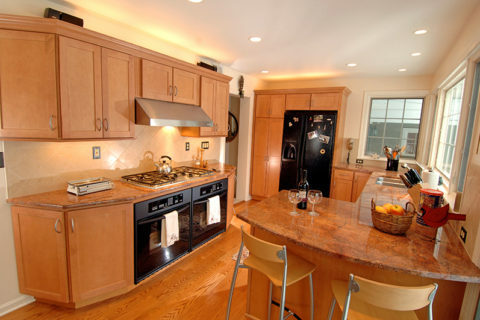 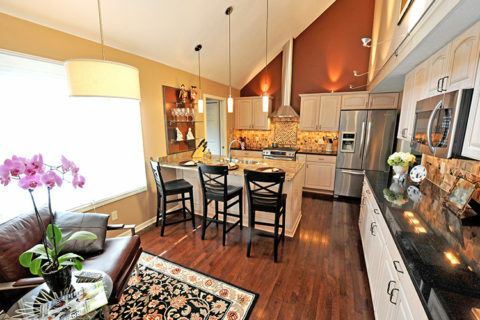 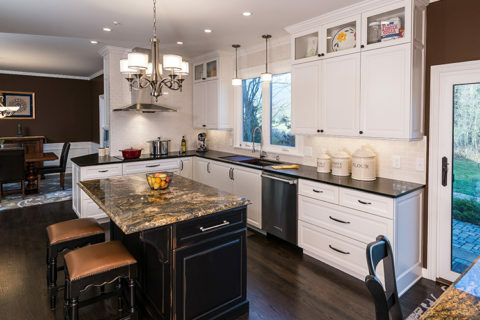 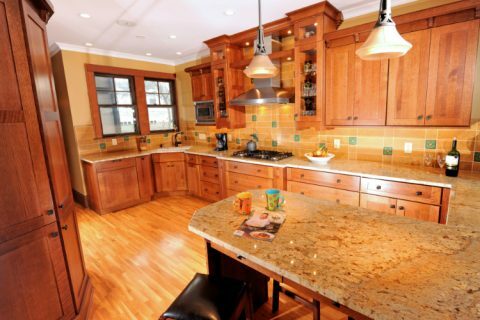 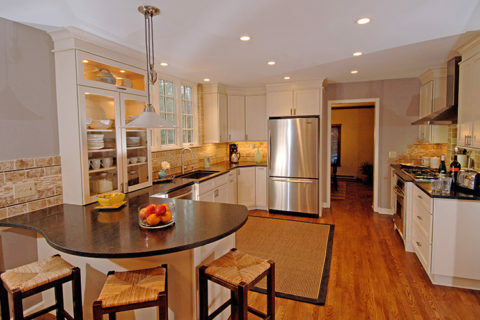 This kitchen remodeling project in Auburn Lakes, east of Chagrin Falls, Ohio, included two surprises. 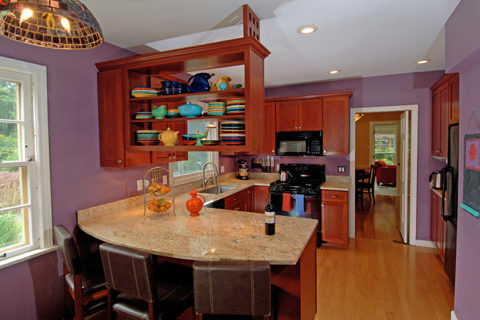 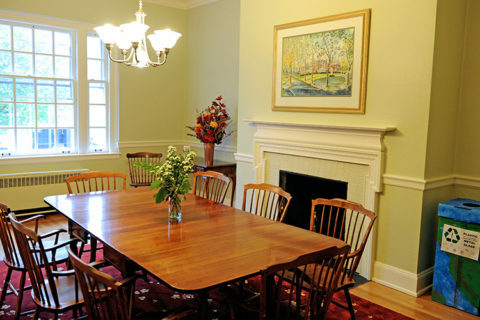 The homeowner had always been unhappy about the color of the cabinet stain; the cabinets appeared pink. 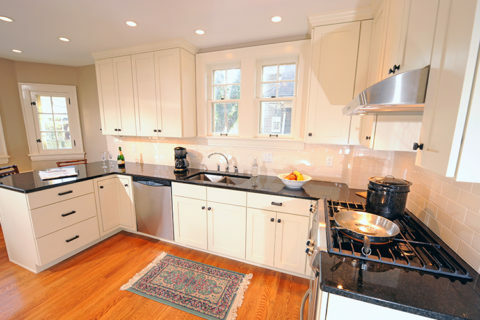 He was convinced that all new cabinets would be required, especially since the kitchen also had a poor floor plan. 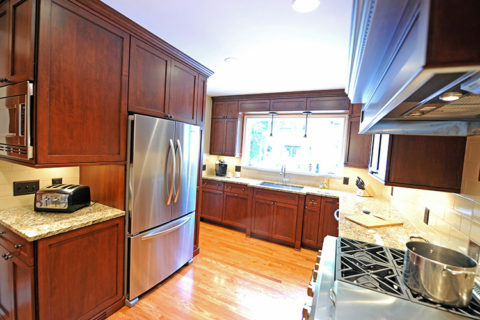 However, the target budget wasn’t sufficient to do everything he wanted and get all new cabinets. 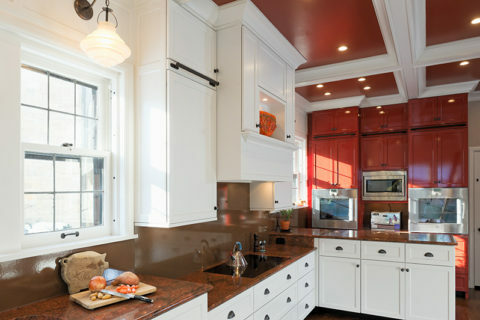 Surprise #1: We were able to push the cabinet color in a more appealing direction simply by selecting granite, backsplash tile and wall paint that both distracted the eye and pushed the color a different direction. 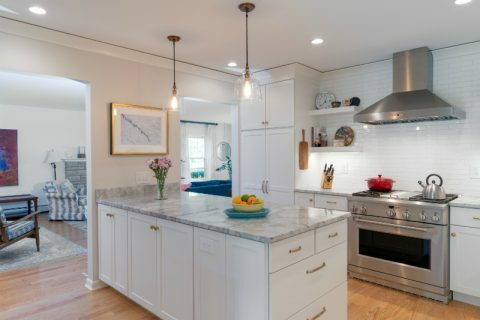 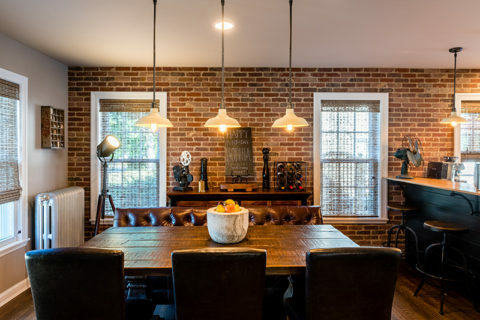 Surprise #2: By rethinking the space and how to utilize existing cabinets in different locations, and in some places for different functions, we were able to make necessary changes to the floor plan. 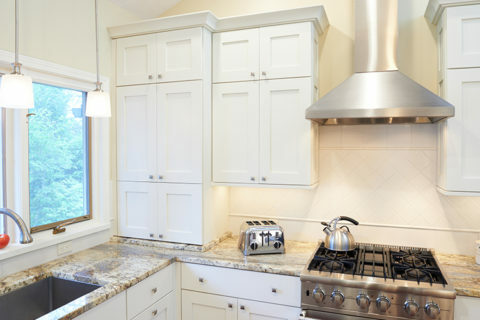 We only had to customize the end panel of the peninsula instead of having to buy all new cabinets. 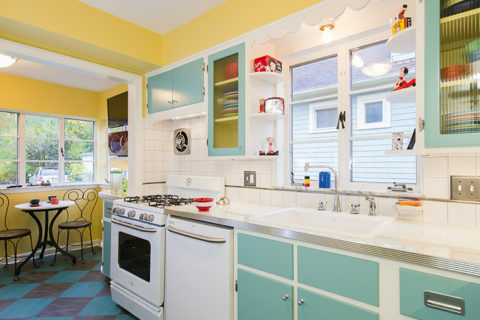 Challenges: Cabinet finish appeared pink to the eye and needed to be changed; kitchen floor plan needed to be rearranged; high powered range hood ventilation needed to be exhausted to exterior but site conditions made that tough. 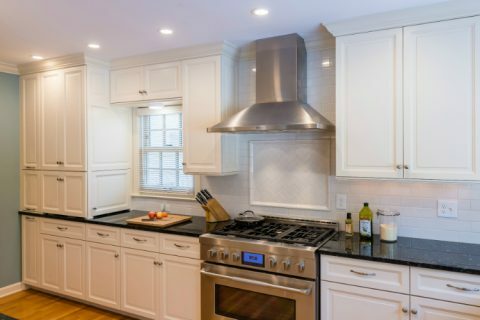 Features: 2 different granite selections, under mount stainless sink, exhaust hood vent goes through the roof, under cabinet lighting. 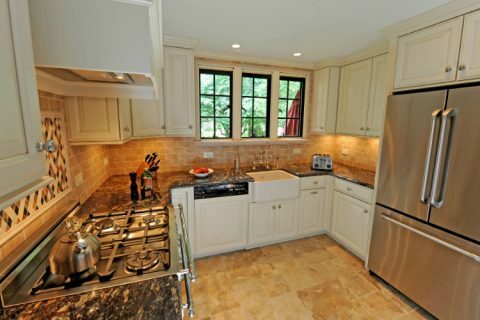 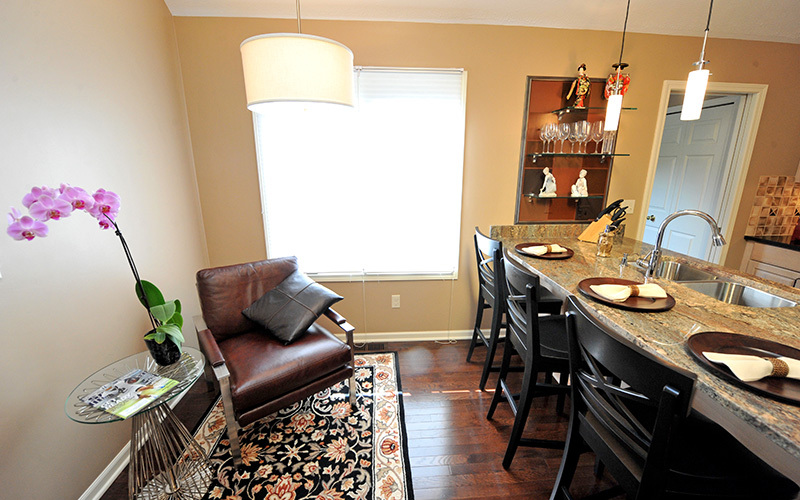 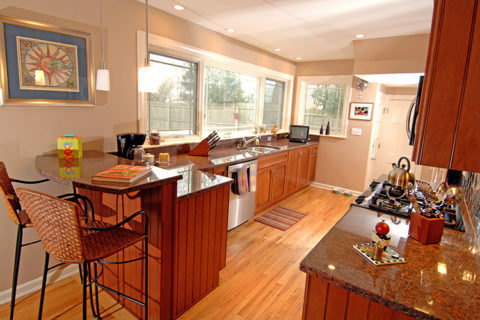 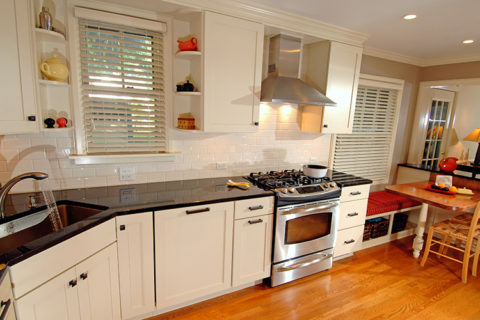 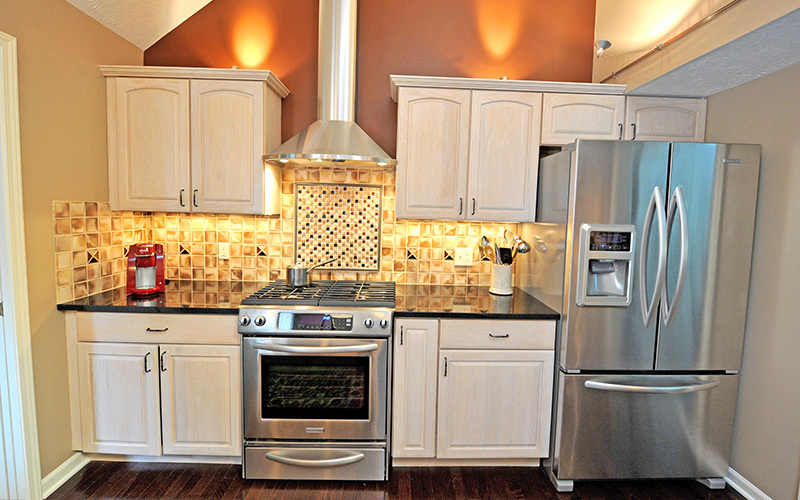 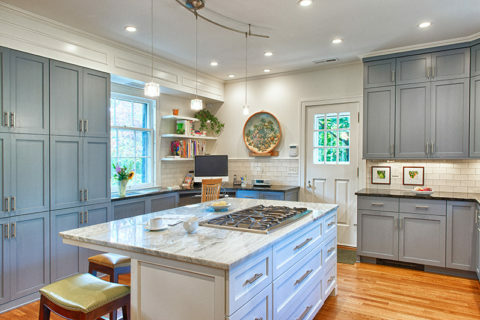 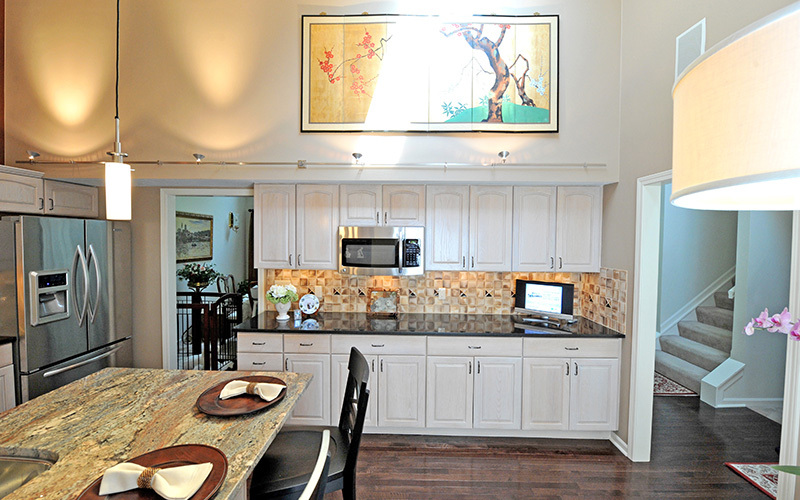 Comments: I was pleasantly surprised that we could keep the old cabinets and still get an amazing kitchen.